The experts of animal locomotion well know the characteristics of quadruped walking since the pioneering work of Eadweard Muybridge in the 1880s. Most of the quadrupeds advance their legs in the same lateral sequence when walking, and only the timing of their supporting feet differ more or less. How did this scientific knowledge influence the correctness of quadruped walking depictions in the fine arts? Did the proportion of erroneous quadruped walking illustrations relative to their total number (i.e. error rate) decrease after Muybridge? How correctly have cavemen (upper palaeolithic Homo sapiens) illustrated the walking of their quadruped prey in prehistoric times? The aim of this work is to answer these questions. We have analyzed 1.000 prehistoric and modern artistic quadruped walking depictions and determined whether they are correct or not in respect of the limb attitudes presented, assuming that the other aspects of depictions used to determine the animals gait are illustrated correctly. The error rate of modern pre-Muybridgean quadruped walking illustrations was 83.5%, much more than the error rate of 73.3% of mere chance. It decreased to 57.9% after 1887, that is in the post-Muybridgean period. 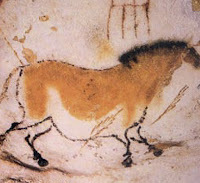 Most surprisingly, the prehistoric quadruped walking depictions had the lowest error rate of 46.2%. All these differences were statistically significant. Thus, cavemen were more keenly aware of the slower motion of their prey animals and illustrated quadruped walking more precisely than later artists. 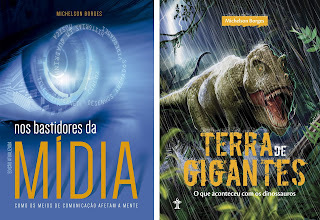 Clique aqui e leia mais sobre "homens das cavernas" e sua "arte moderna".